The dates and numbers of oldmans post (this thread's post and others) don't make sense. He cant easily prove me wrong by posting a single picture. I have a picture of when he competed in Arizona on March 15, 2008 as he stated in one of his posts. I read that ken waller was a bit of a hard guy..could look after himself. He would have "gassed" in a fight, bodybuilders cant fight properly. pretty sure most of Waller's fights didn't last very long. Bodybuilders of today sure, but back then (70's) bodybuilders were horses, also they use to run for cardio not like today's lazy bloated bodybuilders that walk on the tread mill for cardio, lol. so guys remember, I have to protect my identity, this is the internet. that said, if you remember the magazine advertisements for the olympia, in 1980, as I recall Arnold was not on the poster. I told a friend, he is going to surprise everyone and compete...and he did. Zane had a theory that Arnold was the king and you would have to beat him, not just come in your best. the judges see arnold as unbeatable, so someone would hae to destroy him. we know that is not possible. so arnold won, who else could. its not anymore surprising than when franco won his height class with no legs, nobody quit over that. nothen, if you are curious who I am...if you remember Lance Dreher, I live in the same state he lives in now. If you dont know who he is, dont google him. 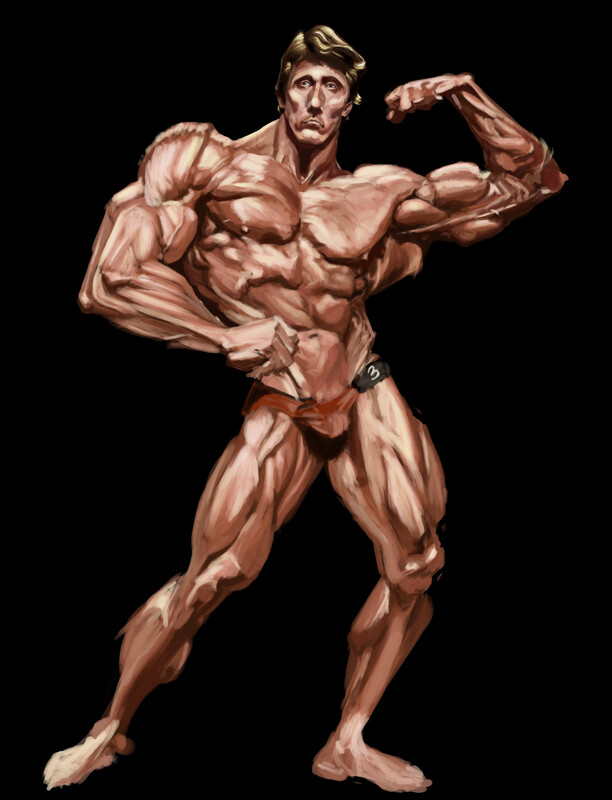 you are not a bodybuilding fan, just a poser. I know Lance is from Illinois don't know if he still lives there! Correct. In the late 80's and 90's Lance was a teacher in Naperville, Ill. Excellent arms. Strange structure, long torso, short legs. Excellent bodybuilder. If oldman states that he competed that day then like I said, based on what he has written then he is only describing Arnold. If he states that he was just backstage that day hanging out not in the contest then it could be any number of BB not worth mentioning about. hahaha I can't believe you guys actaully thing this 'oldman' is anyone important...show your face if you are. Serge Nubret showed his face here...the greatest BB to ever post on getbig. RIP Serge. KING Arnold the gig is up. Lance lives in Arizona, he does a fitness radio show there. if his stats on here are true, then he was a child of ten or 11 when 'Dont Make Waves' was filmed. he says he was in great shape at the 80 O and that he retired after it, but doesn't say he competed in it. quite certainly a serious bodybuilding fan, but probably nobody any of us (other than Vince) would have heard of. Gh15 redux.. More Trolls here than in the Hobbit. account has been going since 2006 with pretty consistent info about this guy until he suddenly says he was at the 1980 Mr O. From his posts he talks about being a stud with the milfs and hates gays to the point he has some latent issues in that department. Amazing, how people will post things on this site, almost knowing they will get called on their lies. I guess oldman = moosejay or suckmumuscle. hahahaha and Mentzer went isane, Zane smashed his trophy, Coe turned in his IFBB card, etc. Cumontaefuck, it canny be Waller. Oldguy says he is still in good shape whereas Waller is a wee ginger bawbag nowadays who couldnt get his hole in a brothel.